If you’re using Facebook, Twitter, Pinterest, LinkedIn or Instagram these days for business, you might want to consider using #Hashtags as much as possible in your posts to get recognized in the searches on those sites. What are hashtags? Hashtags are those symbols that look something like this (#) and are usually followed by whatever the user wants to show up in the searches like #quotes, #blog, or #weightloss. Whatever your status updates pertain to, make sure to use (#) as often as possible, especially on Instagram and Twitter. This will not only get you more followers but will also get you more activity on your latest posts. Of course, nothing beats a large marketing budget to advertise your posts (upcoming chapter), but if you are on a limited budget, or just starting out, this is a great way to build up your presence on Social Media. If you’re like me and use Twitter a lot, make sure to Retweet posts with hashtags as this will help you get more followers as well. Just like in most everything – the more eyeballs that follow your business, the more biz you will get. Also, it’s important that your hashtags are relevant to your status updates. If you’re posting something about weight loss, you probably don’t want to put #ladygaga in there. 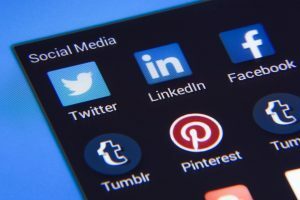 The whole thing with Social Media is engagement into your posts – connecting and building a relationship with your following. Make your hashtags short and understandable. In other words, don’t use hashtags for things like #thisiswaytoolongforanyonetoread. go with things like #happy #funny #quotes #weightloss #gym #fitness. Make a habit of putting hashtags in your status updates, especially on Twitter and watch your following begin to grow. It’s also important to only #hashtag keywords in your post or relevance. For example, if you post a quote, I always end my post with #quotes even though I didn’t mention anything about quotes per say in my message, but it is relevant being that what I posted was a quote. If I post something like “Watching The Seattle Seahawks destroy the Detroit lions”, I would probably hashtag #SeattleSeahawks #DetroitLions and something of relevance like #NFL or if it’s a primetime game #mondaynightfootball. If you’re using picture based sites like Pinterest and Instagram it’s important that you not only use hashtags in your posts, but also include a detailed description describing your picture. This is the only way you picture will ever appear in the search engines of Pinterest or Instagram (since these sites are for posting images). If you just post a picture with no description or hashtags you’re pretty much guaranteed that nobody will ever find your post. There is still a debate out there on whether this is as important for Facebook, but I do it anyways. So get in the habit of putting as many #hashtags into your posts as possible and this will help you get more likes and followers on Social Media especially on Instagram and Twitter. 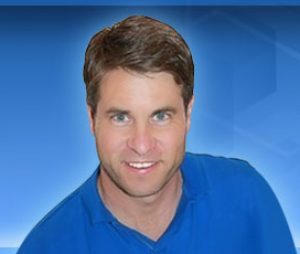 If you’d like to get better at Social Media and begin to profit from it. 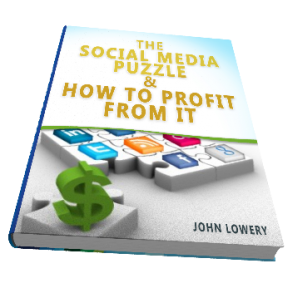 Please pick up a copy of my latest book “The Social Media Puzzle & How to Profit From It” at Amazon and Barnes & Noble.